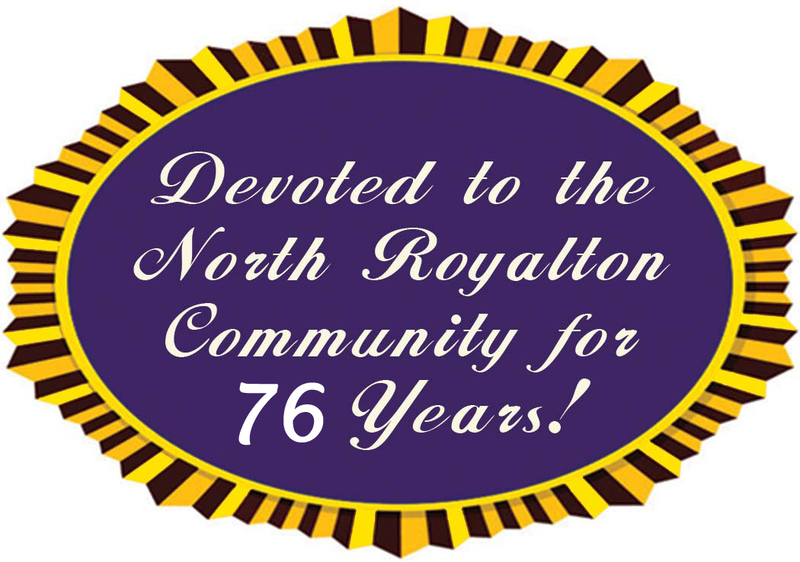 The North Royalton City School District was finally able to start their construction project of the new elementary school. The project had been placed on hold as the district waited for permits from the Army Corps of Engineers and one through the Ohio Environmental Protection Agency (EPA). The additional permits required were due to the wetlands on the school’s building site, which is located at the southwest corner of State Road and Valley Parkway. It had been determined that the property’s wetlands had grown to over a half an acre from 2001 when the Army Corp of Engineers conducted a study that outlined the wetlands on that site. According to school officials, “upon passage of the bond issue in May 2017, North Royalton City Schools contracted with ATC Group Services, an environmental consulting firm, to perform a wetland delineation study. The District previously had this study completed in 2001 which showed limited wetland impact. The May 2017 study by ATC confirmed the findings of the 2001 study. The District proceeded with the permit processes as required for land with minimal wetland impact as it moved into the building design process in fall 2017. The next step in the process was for the Army Corps of Engineers to confirm the wetland study. In late May of 2018, the Army Corps, along with ATC, delineated an increased wetland impact.” With the additional amount of wetlands, additional permits were required. “Right now our focus is on the High School ground breaking” said Gurka, which took place on Saturday, April 6. “We will finalize the guaranteed maximum price with Hammond Construction, like with the High School, then bid the project out, then they will start construction.” He expects that to begin in mid-to-end July/early August. 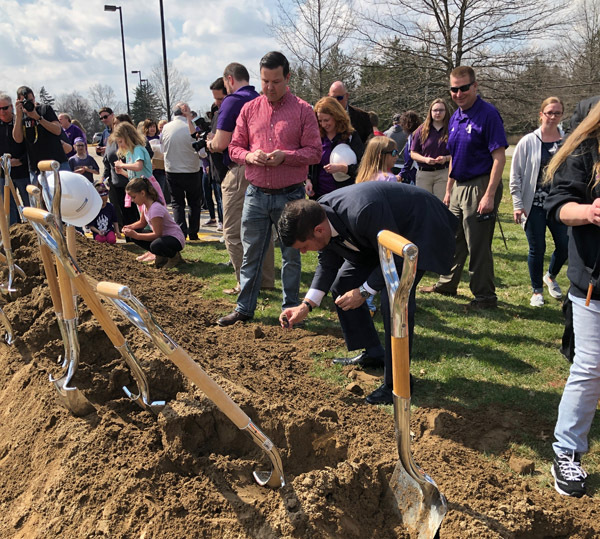 Photos by North Royalton City Schools: Top photo includes school officials, school board members and others participating in the breaking ground for the new high school construction project. Bottom photo shows school and city officials, as well as parents and students coming together to celebrate the exciting start of a new period for North Royalton City Schools and the community. A follow-up article with details of the high school construction project will be in the April 25 Recorder.